Our Biggest Celebration of the year! Patio opens at 3pm with beer from Holy Mountain Brewing, $5 glasses of house Rosé, and snacks from the Bastille kitchen. 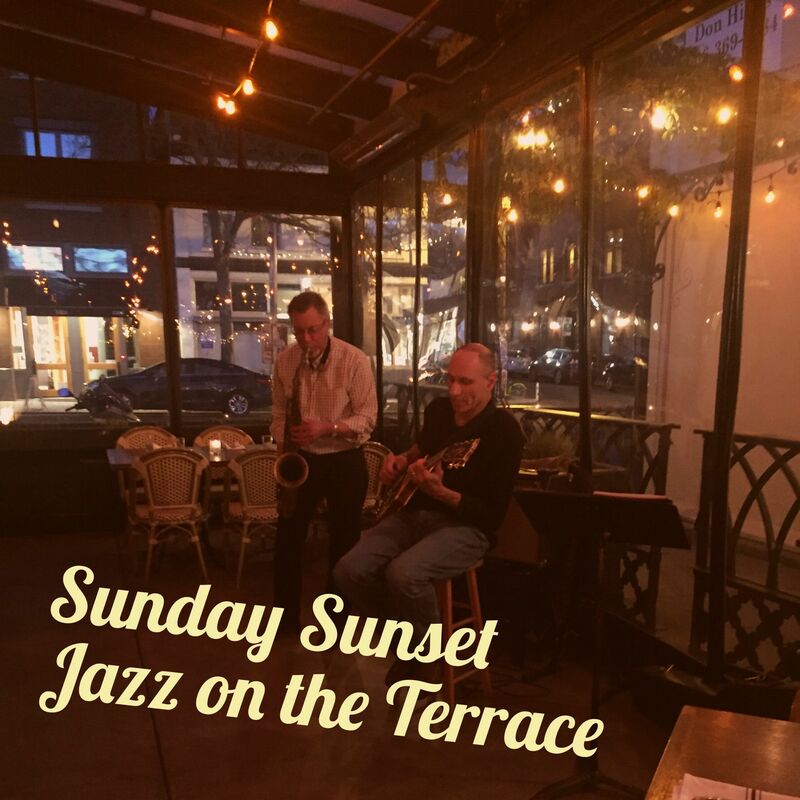 Live Entertainment includes jazz on the Patio from 3:30 - 5:30pm from Second Dimension, New Orleans style street band The Super-Krewe playing from 6 - 8pm, and The Shanghai Pearl performing Burlesque in the Back Bar at 9pm. 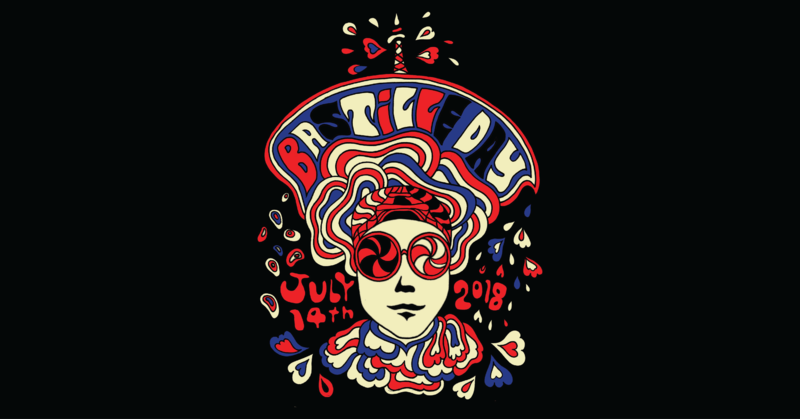 New this year - Dress up as your favorite French historical figure or revolutionary mob-member for our Bastille Day Costume Contest and win a $50 Bastille Gift Card! Two winners will be awarded during the Burlesque performance. RSVP on our Facebook Event and invite your friends!! Raising money for A Warm Current to send Washington Makah, Quileute, and Hoh tribal kids to surf camp! Featuring an amazing raffle with prizes from Sub Pop Records, Captive Spirits Distilling, Lib Tech Surf, Ethan Stowell Restaurants, and much more! RSVP & invite your friends on our Facebook Event page here. Celebrating the Range of Roederer. Party with us! 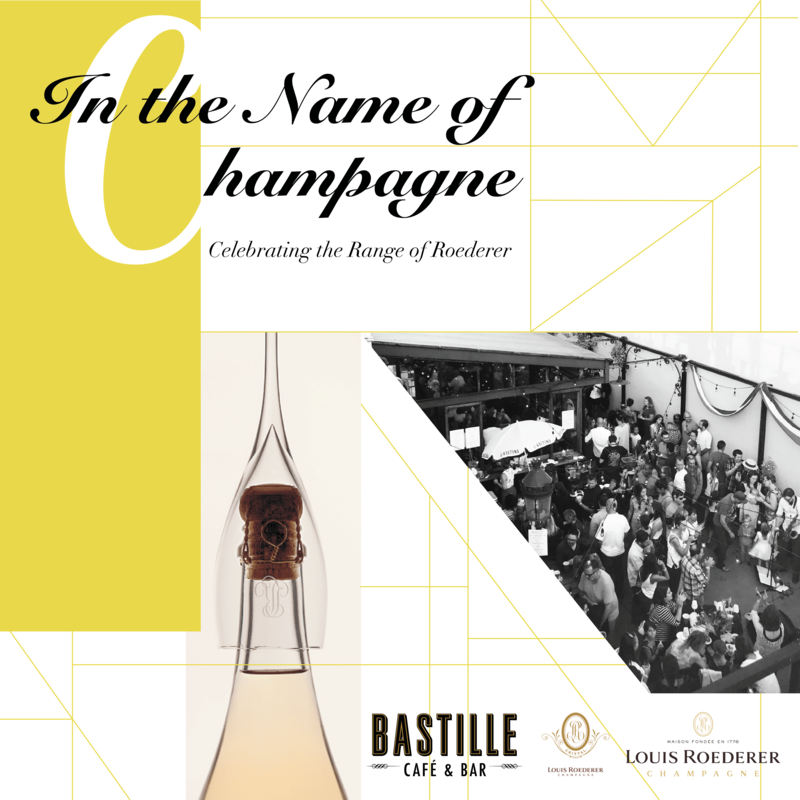 Friday, June 8th 4-7pm on Bastille Patio with Roederer Champagne! Christmas Eve – Chef Jason Stoneburner has created an extended plats du jour menu for Christmas Eve. A special Bordeaux wine flight includes the 2010 Cadence Bel Canto Cara Mia Vineyard - Red Mountain, 2012 d’Armailac 5eme Cru Classé Pauillac - Left Bank Bordeaux, and 2008 Sociando-Mallet - Haut Médoc. The dining room will take reservations for dinner from 3 p.m. to 8 p.m. Visit www.bastilleseattle.com/reservations or call 206.453.5014. New Year’s Eve – A special celebratory menu is planned for dinner, which will be served from 5 p.m. to 12 a.m. A lineup of Champagne flights will include explorations of Grower Champagne, Pinot vs. Chardonnay, Crémant, and Vintage vs. Non-vintage. The Bastille dinner menu with crowd favorites including the Lamb Burger and Moules Frites will also be available for guests seeking the Bastille classics. 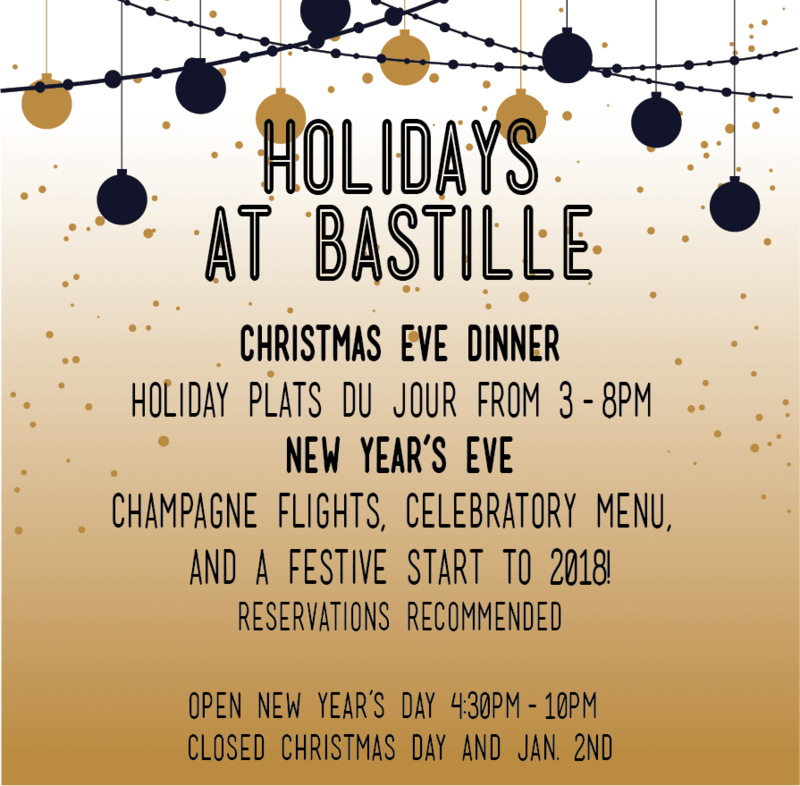 The Bastille Back Bar will be closed on New Year's Eve for a private event so reservations are highly recommended for dinner. New Year’s Day – Bastille will open regular hours starting at 4:30pm for Happy Hour in the bar and dinner service beginning at 5pm. Bastille will be closed Christmas Day and Tuesday, January 2nd. Join us at Bastille Café & Bar between 5pm - 10pm for flights of wine and small plates, or dinner and bottles of Cru Beaujolais! For many decades, just past midnight on the third Thursday in each November, little villages all over the Beaujolais region in eastern France have come to life, hustling to get their many cases of Beaujolais Nouveau to Paris for the annual celebration of the young wine. 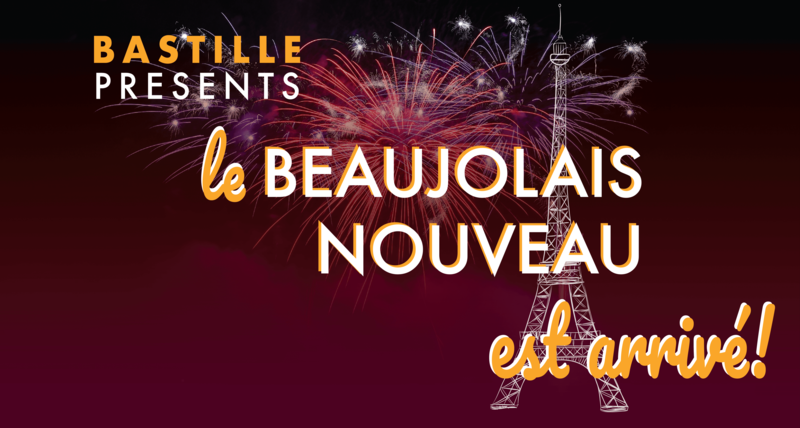 Seattleites can join in on the celebration at Bastille Café & Bar where popping bottles of Beaujolais Nouveau has become an annual tradition since the Ballard Avenue restaurant opened in 2009. 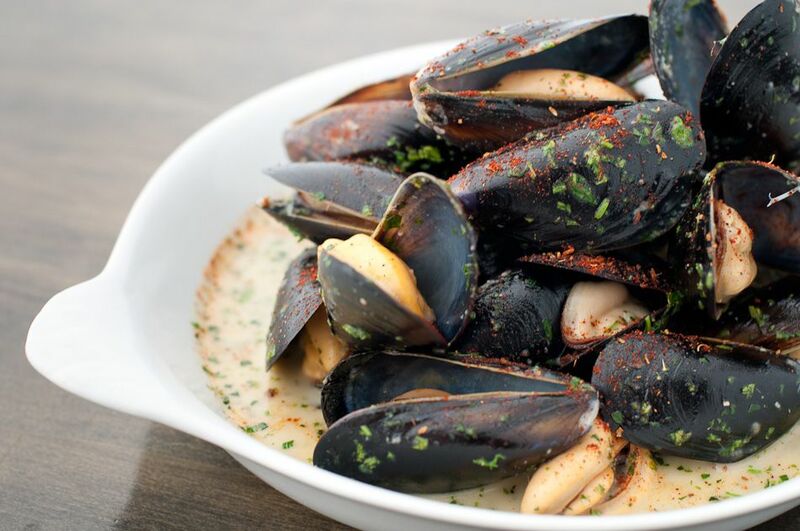 Seattle Restaurant Week runs Sunday through Thursday from October 15th to November 2nd. 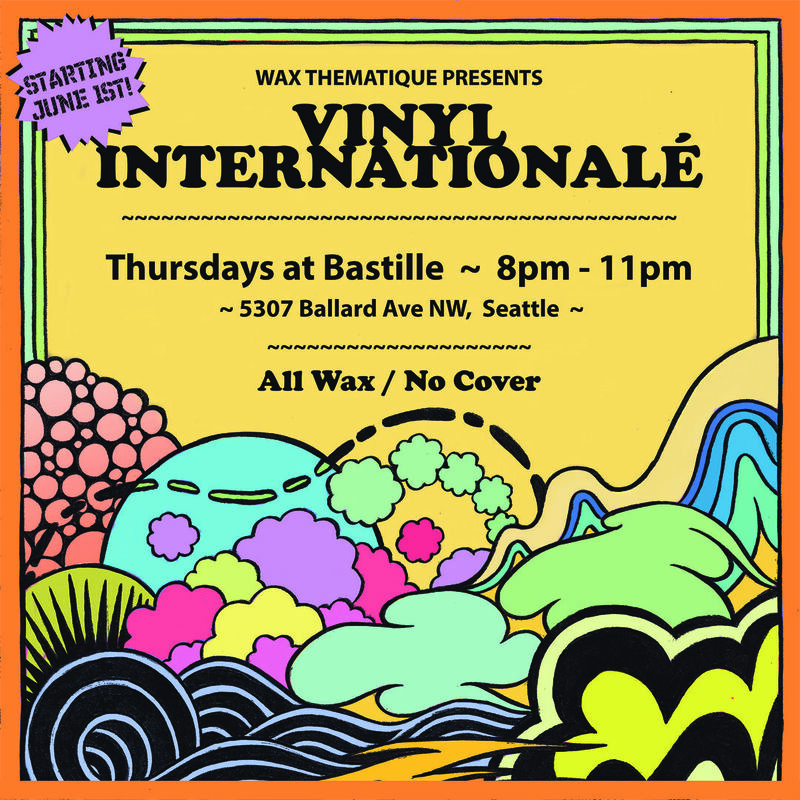 Inspired by a recent three-month record digging adventure in Thailand, China and Hong Kong, Seattle's Wax Thematique label presents Vinyl Internationalé Thursday evenings at Bastille in Ballard, celebrating the global sounds of Thai-funk, Afrobeat, Eastern Soul, Tropical Jazz and more. 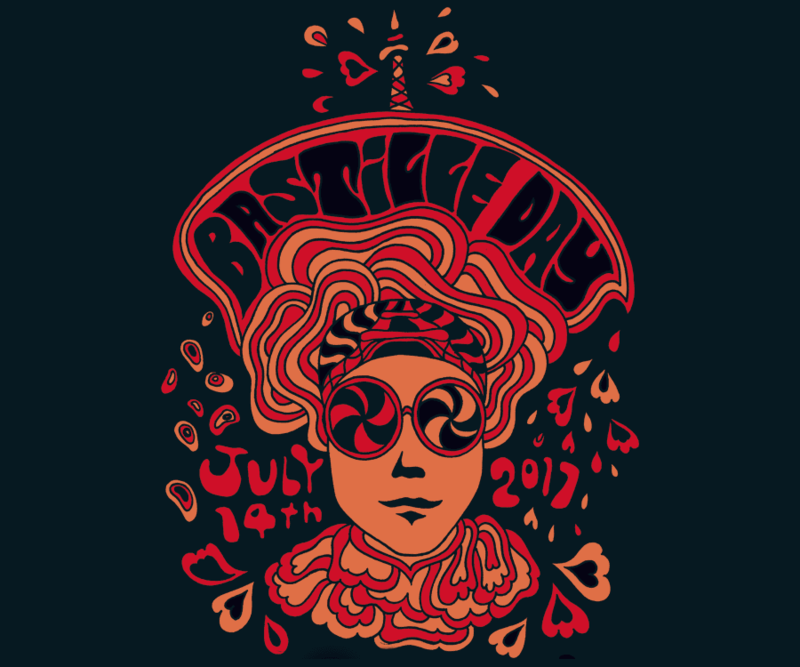 Join Bastille Café and Bar for our favorite holiday on Friday, July 14th! Celebrate Bastille Day with Rosé, Pig Roast, Live Music, Burlesque and more! The Bastille Day party begins on Friday, July 14th at 3pm on the Bastille patio and terrace. Revelers are encouraged to stop by at any time between 3pm – close for their fill of French cuisine and libations. 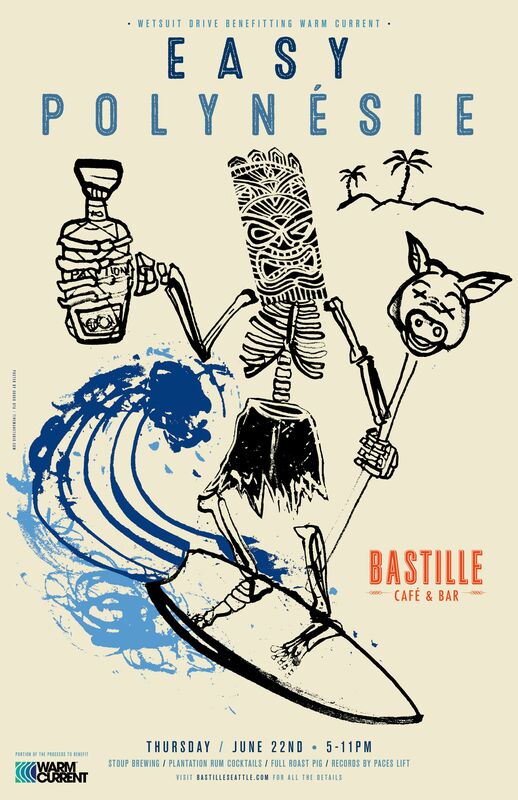 Join us for a fun evening on the Bastille patio and in the Back Bar to raise money for local non-profit Warm Current! Chef Jason Stoneburner will be roasting a pig on the patio! We'll be pouring kegs of Stoup brew and crafting tropical cocktails with Plantation Rum. Our resident Thursday evening DJ Paces Lift will be playing his collection of Island vinyl. The event is free for all ages to attend. Just show up and have a great time! 25% of the sales of food and beverages will be donated to support Warm Current. 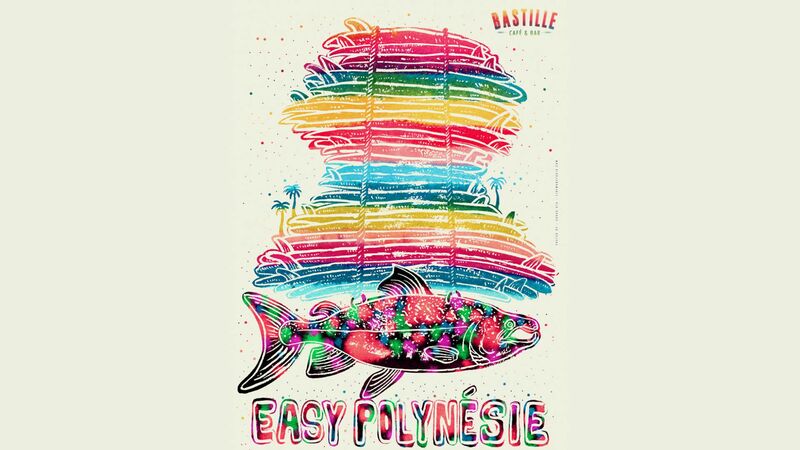 A raffle with great prizes from Bastille, Stoneburner, Surf Ballard, Stoup Brewing, Plantation Rum, and more will help raise additional funds to send kids to surf camp this summer. Warm Current runs one-day surf camps in communities along the Oregon and Washington coasts all summer long. These surf camps are free of charge and open to youth in the local, coastal communities where we volunteer. Our camps are designed to provide a fun and healthy experience (surfing) that will attract and engage youth with the ocean. We love to surf, and we want to share what we love as a way to give back to the coastal communities that Washington surfers are lucky enough to share with their original inhabitants. Washington camps are run in partnership with the Makah, Quileute, Hoh, and Quinault tribal nations. Warm Current is still looking for volunteers to help with summer surf camps! Volunteers don't need to be surfers, just people who like the ocean, like kids, and want to help out! A Warm Current volunteer coordinator will be available during Easy Polynésie to answer any questions about the charity or how you can volunteer this summer. We will also be holding a Wet Suit Drive for Warm Current - fully functional 3/2 and 4/3 full suits are needed. Visit WarmCurrent.org for details on donating your wet suit.